Google's Android operating system is still only available in one commercial device, the T-Mobile G1 cell phone. Cell phone manufacturers and Google are however planning to release at least 18 Android based devices this year alone which will surely help the platform in gaining market share in the cell phone market. T-Mobile G1 users can access the Android Market to download additional applications for their cell phone. 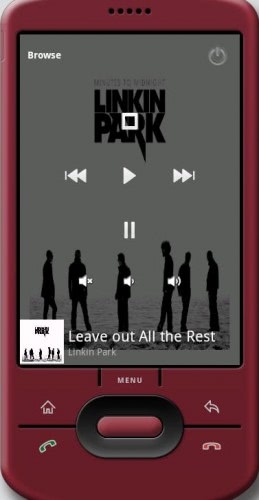 One of the interesting applications is the remote PC access software Android Remote which enables you to access and control music and videos on the Android phone from any computer system running the server application. You need to install Android Remote on your smartphone and the Gmote Server application on the PC that you want to access remotely. The Gmote software for remote PC access can be downloaded directly from Android Market to the cell phone.Update: We have added the correct link to the app on Google Play so that you can install it directly on any linked phone without having to search the market to find it. Once you have installed the application on the phone, you need to download and install the Gmote application which is available for Windows, Mac OS X and Linux. A window will show up after execution of the server application asking for a pass word that is used to protect the contents from third parties. The very same password has to be entered on the Android phone when you run the app on it to connect to the server running on the desktop system. 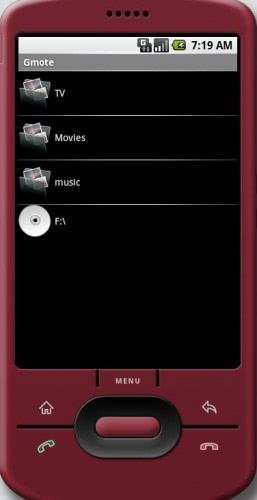 You can then add files and folders to the server so that they can be accessed and controlled from the Android phone. The Gmote application can establish a connection over a wireless network or cellular network's data connection. 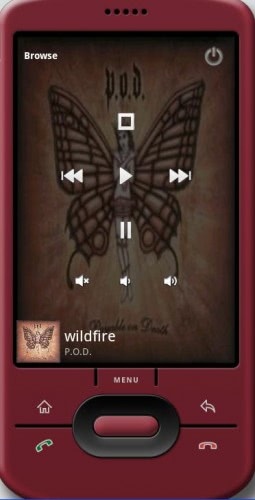 Music can be streamed from the computer system to the Android phone. Everything else, e.g. 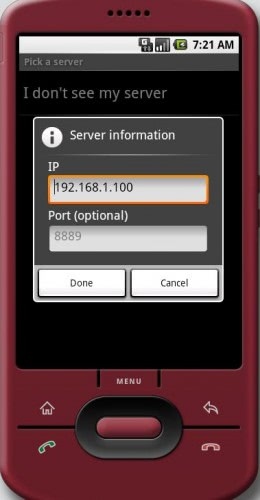 playing movies, controlling PDF documents or PowerPoint presentations, is happening on the server system while being controlled from the Android phone. The Gmote application on cell phone can be used as a wireless touchpad and keyboard which extends its functionality further. All in all a very interesting remote PC access application that might come in handy in many different situations. Perfect write-up, well crafted I have to admit. It’s an app that lets you start programs on your pc remotely from your Android device.